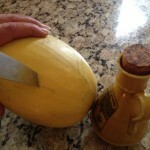 There are so many types of squash readily available during this season that I have a hard time controlling what I purchase! During these times when the wonderful produce is available I often struggle with limiting how many and/or how much I bring home. Most of the year we are very limited here in the Midwest and it’s a lot of fun creating healthy dishes while the produce is so delicious and fresh. 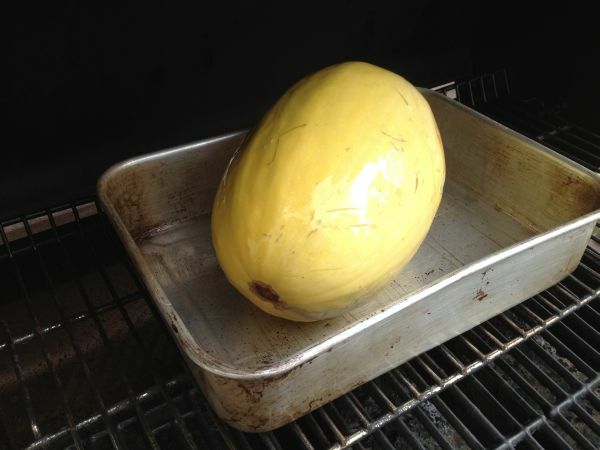 The spaghetti squash (also called vegetable spaghetti, noodle squash, spaghetti marrow, gold string melon) is an oblong seed-bearing variety of winter squash. 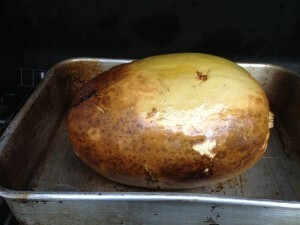 The fruit can range either from ivory to yellow or orange in color. 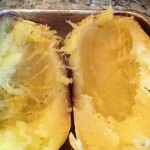 We don’t see much of the orange variety, which has a higher carotene content. 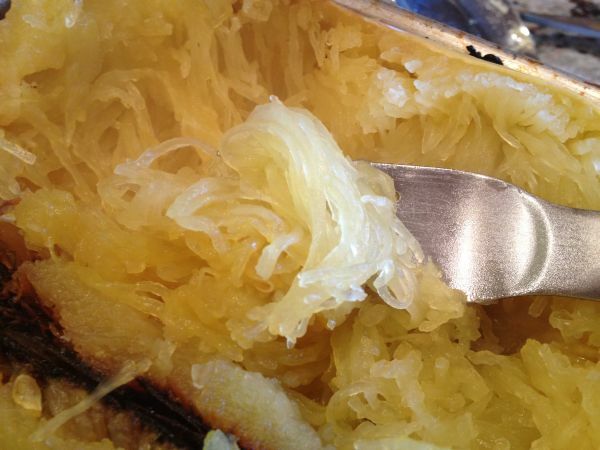 Spaghetti squash contains many large seeds in it’s center and the outside flesh is usually bright yellow. 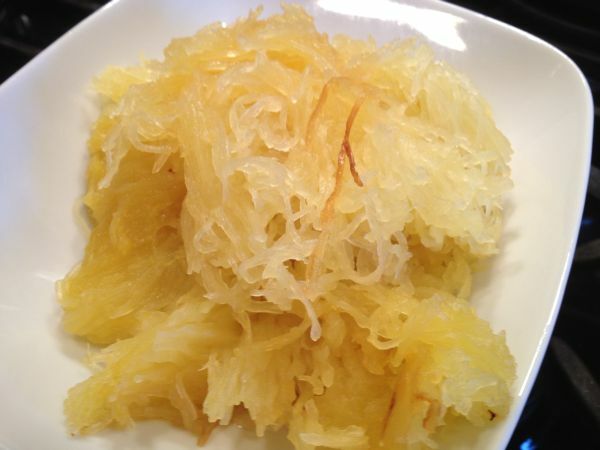 When raw, the flesh is solid and similar to other raw squash; but when cooked, the flesh falls away from the fruit in ribbons or strands like spaghetti. It can be used to replace and/or cut back on carbohydrates and it actually tastes terrific!! 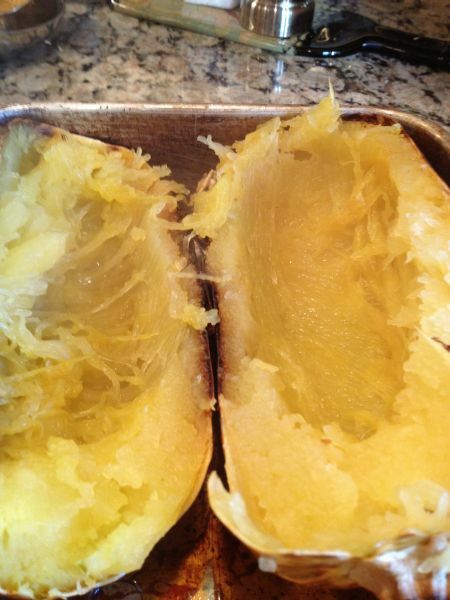 Wash the skin of the squash with warm water and dry with a towel. 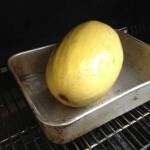 Rub the skin with olive oil and place in a shallow baking dish. 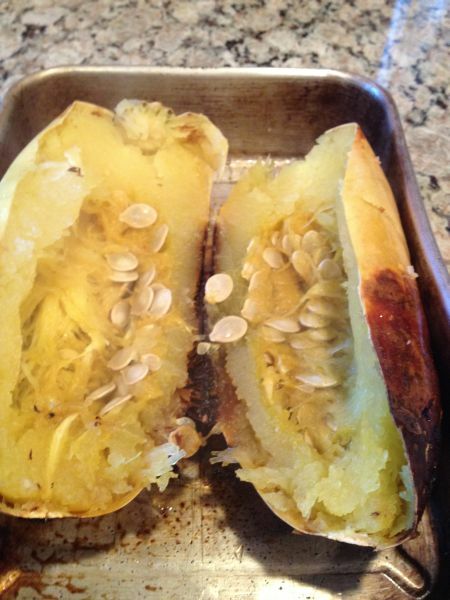 Poke squash with a knife in a half a dozen or so spots around and Bake at 350 for 60-90 minutes, depending on the size until you can pierce the skin and flesh underneath easily with a paring knife. My grill got a bit hotter this time, so it took only about an hour. Keep your eye on it. 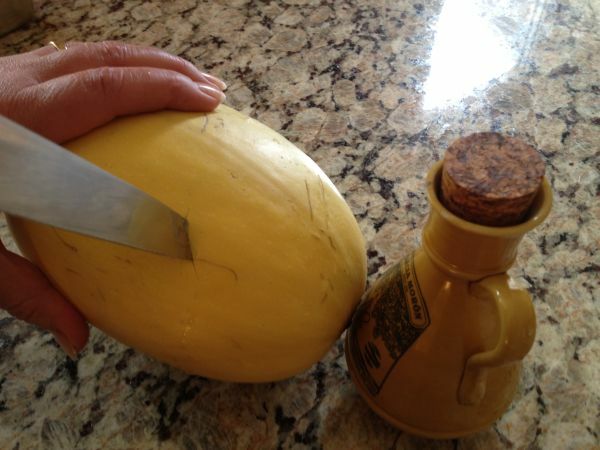 Let cool for a few minutes before you cut into it. 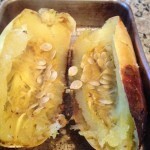 Once it has cooled for a bit cut the squash in half lengthwise and scoop out the seeds in the middle with a big spoon and discard. Then, using a fork, fluff up and scrape out the flesh. It will look like spaghetti! 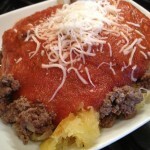 Top with some browned ground beef, onions and garlic and your favorite marinara. 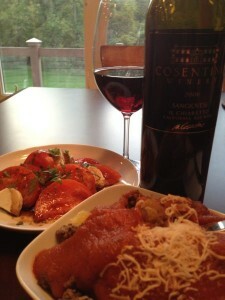 Sprinkle with Parmesan or Mozzarella cheese. 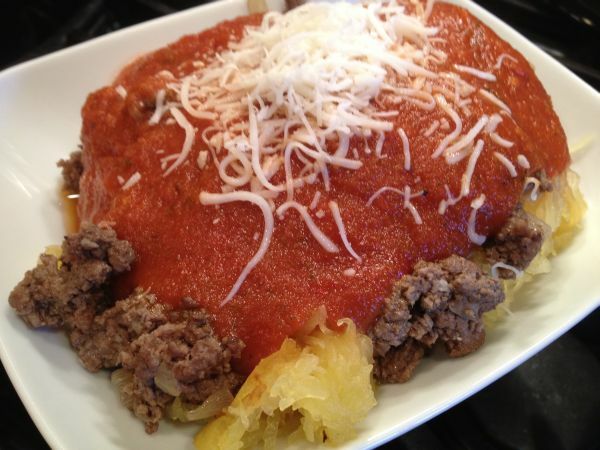 Rich, moist, creamy, delicious and healthful has never tasted so good! We paired ours with a beautiful bottle of Mitch’s 2006 Sangiovese from Cosentino! Yum Chris, Just like spaghetti without the carbs, okay it is different but…I sometimes toss it will olive oil and fresh basil, pine nuts and garlic salt…or pesto. 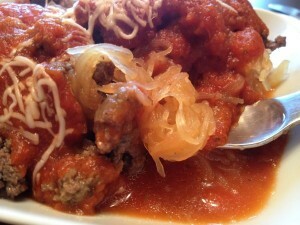 I like the idea of making it like real spaghetti with the meat sauce and it is the main course! !